Small and big persons, disabled and elderly, expectant mothers and children. Everyone will fall into one of these categories at least once in their lifetime. In fact, demographics show that at least two of every five people vary from the norm in height, width, and weight at any given time. Yet customarily, designers design for adults of regular size with standard abilities. Written by an expert in human factors and ergonomics, Extraordinary Ergonomics explores designing for population groups that do not meet the customary standards in age, size, and abilities. 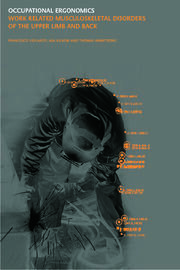 Underscoring the need for extraordinary ergonomics, the book illustrates various approaches to measuring the characteristics, capabilities, and limitations of those who differ from the norm. 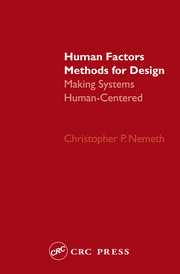 It provides the how-tos of designing for people who are smaller, weaker, or bigger, discusses specifically the design for persons with disabilities and the aging population, and covers human factors engineering for expectant mothers and ergonomics for children and teenagers. The author explains how to assess and determine abilities and needs and demonstrates how to design tools, homes, and environments to make working space safe and living space easy. "This book illustrates with copious detail and numerous examples how an underlying supposition of ergonomics - usually undeclared - and based on a so-called normal adult, is fundamentally flawed. This book is thorough, easy to digest, and sprinkled with anecdotal notes about human behavior. 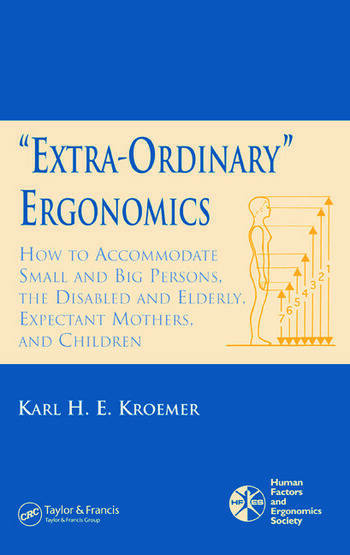 …I recommend "Extra-Ordinary" Ergonomics as part of the personal library of all professional ergonomists and human factors engineers."